Since the earliest settlements on the Korean Peninsula and in southeastern Manchuria during prehistoric times, the people of Korea have developed a distinctive culture based on their unique artistic sensibility. The geographical conditions of the peninsula provided Koreans with opportunities to receive both continental and maritime cultures and ample resources, which in turn enabled them to form unique cultures of interest to and value for the rest of humanity, both then and now. Gyeongju Historic Areas. Gyeongju was the capital of Silla for about one millennium. The city still contains a wealth of archaeological remains from the Kingdom, and hence is often dubbed as â€œa museum without walls or roof.â€ The photo shows a scene of the Silla mound tombs located in the city. Korea’s vibrant cultural legacy, comprising music, art, literature, dance, architecture, clothing and cuisine, offers a delightful combination of tradition and modernity, and is now appreciated in many parts of the world. At the present time, Korean arts and culture are attracting many enthusiasts around the world. Korea’s cultural and artistic achievements through the ages are now leading many of its young talents to the world’s most prestigious music and dance competitions, while its literary works are being translated into many different languages for global readers. More recently, Korean pop artists have attracted huge numbers of admirers across the world, the most spectacular success being Psy’s global hit Gangnam Style. Korea preserves a wealth of priceless cultural heritage, some of which have been inscribed on the lists of human legacies protected by UNESCO. Currently, a total of thirty-eight Korean heritage items are listed either as World Heritage Sites or Masterpieces of the Oral and Intangible Heritage of Humanity, or have been included on UNESCO’s Memory of the World Register. Changdeokgung Palace, located in Waryong-dong, Jongno-gu, Seoul, is one of the five Royal Palaces of Joseon (1392-1910), and still contains the original palace structures and other remains intact. It was built in 1405 as a Royal Villa but became the Joseon Dynasty’s official Royal Residence after Gyeongbokgung, the original principal palace, was destroyed by fire in 1592 when Japanese forces invaded Korea. Thereafter it maintained its prestigious position until 1867, when Gyeongbokgung was and renovated and restored to its original status. Changdeokgung was listed as a UNESCO World Heritage Site in 1997. The two main buildings at the Royal Shrine, Jeongjeon Hall and Yeongnyeongjeon Hall exhibit a fine symmetry, and there are differences in the height of the raised platform, the height to the eaves and the roof top, and the thickness of the columns according to their status. The entire sanctuary retains its original features, including the two shrine halls which exhibit the unique architectural style of the 16th century. Seasonal memorial rites commemorating the life and achievements of the royal ancestors of Joseon are still performed at the shrine. 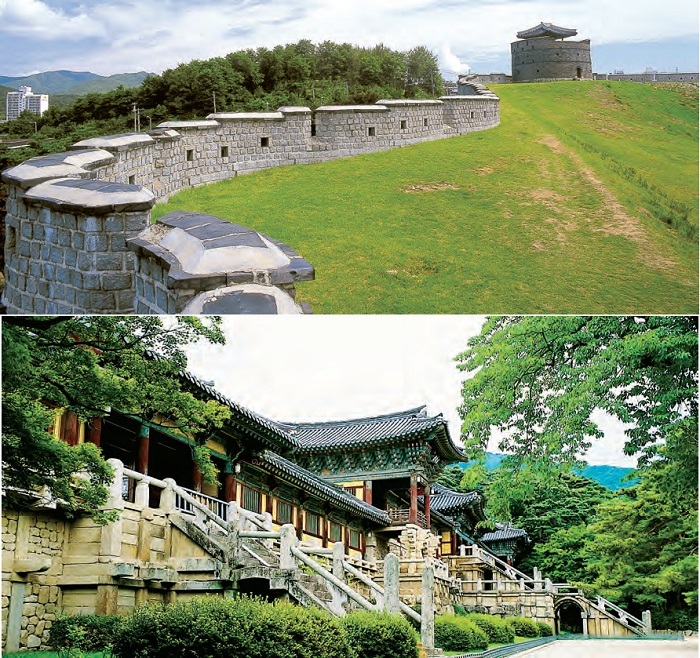 Located in today’s Jangan-gu of Suwon-si, Gyeonggi-do, Hwaseong is a large fortress (its walls extend for 5.7km) built in 1796 during the reign of King Jeongjo (r. 1776-1800) of the Joseon Dynasty. Construction of the fortress was begun after the King moved the grave of his father, Crown Prince Sado, from Yangju in Gyeonggi-do to its current location near the fortress. The fortification is elaborately and carefully designed to effectively perform its function of protecting the city enclosed within it. The construction of the fortress and related facilities involved the use of scientific devices developed by the distinguished Confucian thinker and writer Jeong Yak-yong (1762- 1836), including the Geojunggi (type of crane) and Nongno (pulley wheel) used to lift heavy building materials such as stones. Seokguram, located on the middle slopes of Tohamsan Mountain in Gyeongju, Gyeongsangbuk-do, is a Buddhist hermitage with an artificial stone cave built in 774 to serve as a dharma hall. The hall houses an image of seated Buddha surrounded by his guardians and followers carved in relief, which is widely admired as a great masterpiece. The cave faces east and is designed so that the principal Buddha receives the first rays of the sun rising from the East Sea on his head. 1. Hwaseong Fortress in Suwon This 18th century fortification was built on the basis of the most advanced knowledge and techniques known to both East and West at that time. 2. Bulguksa Temple This Silla temple established in the 6th century is architecturally known for being one of the finest examples of Buddhist doctrine anywhere in the world. 3, 4. Seokguram GrottoThe principal Buddha seated on a lofty lotus pedestal at the center of the grotto. Dabotap, or the Pagoda of Abundant Treasures, is marked by a unique structure built with elaborately carved granite blocks. It also features on the face of the Korean 10 won coin. By contrast, Seokgatap, or the Pagoda of Shakyamuni, is better known for its delightfully simple structure which exhibits fine symmetry and balance. The pagoda is now generally regarded as the archetype of all the three-story stone pagodas built across Korea thereafter. 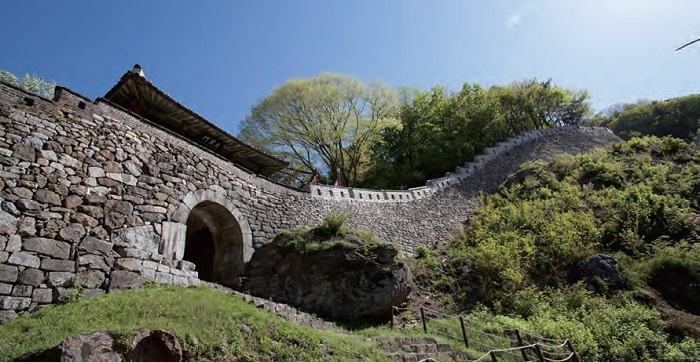 Among the other treasures preserved at the temple are the two exquisite stone bridges, Cheongungyo (Blue Cloud Bridge) and Baegungyo (White Cloud Bridge), leading to Daeungjeon, the temple’s principal dharma hall. The bridges symbolize the journey every Buddhist needs to make to reach the Pure Land of Bliss. The Joseon Dynasty (1392-1910) left behind a total of fortyfour tombs of its Kings and their Queen Consorts, most of which are located in and around the capital area including the cities of Guri, Goyang and Namyangju in Gyeonggi-do. Some of these Royal Tombs are arranged in small groups in the Donggureung, Seooreung, Seosamneung and Hongyureung. Of these, forty tombs are registered as UNESCO World Heritage Sites. 1. Donggureung A complex of Royal Tombs built for nine Joseon Kings and their seventeen Queens and Concubines. 2. Yeongneung The tomb of King Sejong and his consort Queen Soheon. 3. Mongneung The tomb of King Seonjo and his consort Queen Inmok. The defensive position of the fortress was reinforced by exploiting the rugged topography of the mountain (average height: at least 480m). The perimeter of its wall is about 12.3km. According to a record dating from the Joseon Period, about 4,000 people lived in the town built inside the fortress. Temporary palaces, Jongmyo Shrine, and Sajikdan Altar were built in the fortress in 1711 during the reign of King Sukjong of Joseon. The fortress is also a result of the wide-ranging exchanges made and wars waged between Korea (Joseon), Japan (Azuchi- Momoyama Period), and China (Ming and Qing) during the 16th-18th centuries. The introduction of cannons from western countries brought many changes to the weaponry inside the fortress and the way the fortress was built. The fortress is a â€œliving recordâ€ of the changes in the way fortresses were built during the 7th-19th centuries. The annals of each Joseon ruler were usually compiled after his death during the early phase of his successor’s rule based on the daily accounts, called â€œhistorical draftsâ€ (sacho), made by historiographers. The annals are regarded as extremely valuable historical resources as they contain detailed information about the politics, economy, culture and other aspects of Joseon society. Once the annals had been compiled and placed in the â€œhistory depositoriesâ€ (sago), they would not be opened to anyone except in special circumstances where it was necessary to refer to past examples with regard to the formal conduct of important state ceremonies such as the memorial rites for royal ancestors or the reception of foreign envoys. Originally there were four history depositories, one in the Chunchugwan (Office of State Records) at the Royal Court, and three more in the main regional administrative hubs in the south, namely, Chungju, Jeonju and Seongju. However, these were destroyed in 1592 when Japan invaded Korea, and the Joseon Dynasty was compelled to build new depositories on some of the remotest mountains in the country, Myohyangsan, Taebaeksan, Odaesan and Manisan. This collection of beautifully illustrated books contains official manuals recording the details of Court Ceremonies or events of national importance for the purpose of future reference. The most frequently treated subjects in these books are Royal Weddings, the investiture of Queens and Crown Princes, State and Royal Funerals, and the construction of Royal Tombs, although other state or royal occasions such as the â€œRoyal Ploughingâ€, construction or renovation of Palace buildings, are included. As for the latter, those published to mark the construction of Hwaseong Fortress and King Jeongjo’s formal visit to the new walled city in the late 18th century are particularly famous. These publ ications were also stored in the history depositories, sadly resulting in the destruction of early Joseon works by fire during the Japanese Invasion of Korea in 1592. The remaining 3,895 volumes of Uigwe were published after the war, some of which were stolen by the French Army in 1866 and kept in the Bibliotheque nationale de France until 2011, when they were returned to Korea following an agreement between the governments of Korea and France. The collection of Tripitaka woodblocks stored at Haeinsa Temple (established 802) in Hapcheon-gun, Gyeongsangnamdo was made during the Goryeo Period (918-1392) under a national project that started in 1236 and took fifteen years to complete. The collection is generally known by the name Palman Daejanggyeong, literally â€œthe Tripitaka of eighty thousand woodblocks,â€ as it consists of 81, 258 blocks of wood. This summer festival held in and around Gangneung, Gangwondo, for about 30 days from the fifth day of the fifth lunar month to Dano Day on the fifth day of the fifth lunar month, is one of Korea’s oldest folk festivals and has been preserved more or less in its original form since its emergence many centuries ago. 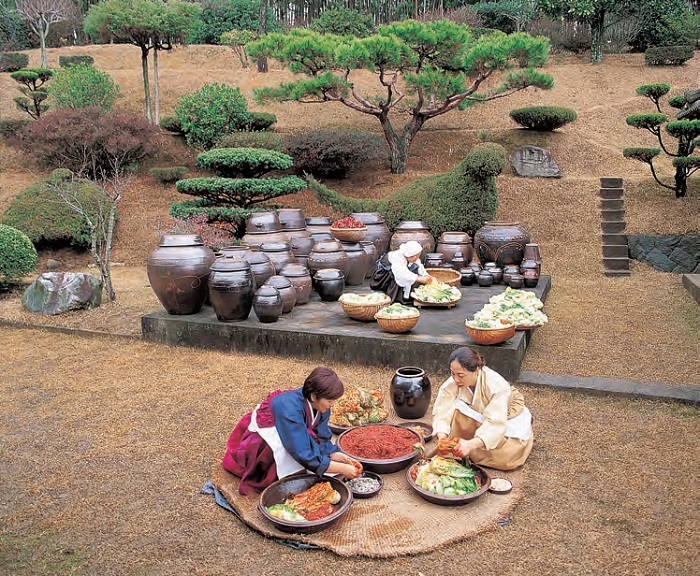 The festival starts with the traditional ritual of honoring the mountain god of Daegwallyeong and continues with a great variety of folk games, events and rituals during which prayers are offered for a good harvest, the peace and prosperity of villages and individual homes, and communal unity and solidarity. The first event of the Danoje Festival is related to the preparation of â€œdivine drinksâ€ (sinju) to be offered to gods and goddesses, thus linking the human world with the divine world. 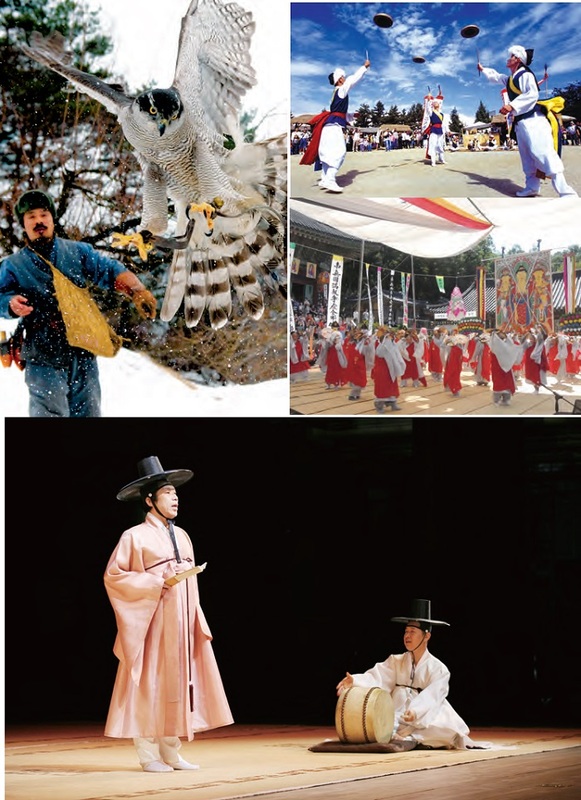 This is followed by a variety of festive events such as the Gwanno Mask Dance, a non-verbal performance by masked players, swing riding, ssireum (Korean wrestling), street performances by farmers’ bands, changpo (iris) hair washing, and surichwi rice cake eating. Of these, the changpo hair washing event is particularly widely practiced by women who believe that the extract of changpo will give them glossier hair and repel the evil spirits that are thought to bear diseases. While today only the dance part is selected to be performed by professional dancers, the original performance included several different folk games such as Namsaengi nori (Namsadang vagabond clowns’ play),deokseok malgi (straw mat rolling) and gosari kkeokgi (bracken shoot picking). The performers sing the Song of Ganggangsullae as they dance, and the singing is done alternately by the lead singer and the rest with the tempo of the song and dance movements becoming faster and faster towards the end. 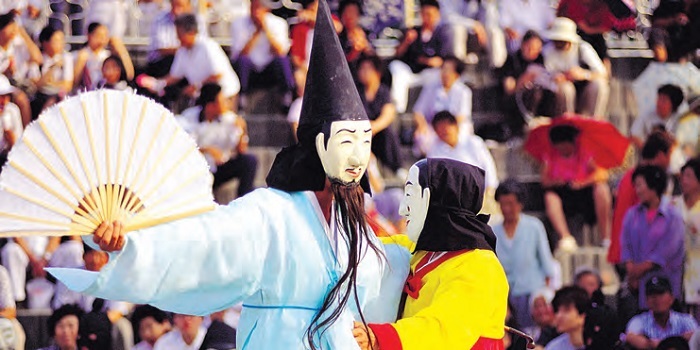 Namsadang nori, generally performed by an itinerant troupe of male performers, consisted of several distinct parts including pungmul nori (music and dance), jultagi (tightrope walking), daejeop dolligi (plate spinning),gamyeongeuk (mask theater) and kkokdugaksi noreum (puppet theater). The performers also played instruments while they danced, such as the barrel buk (drum), janggu (hourglass-shaped drum), kkwaenggari (small metal gong), jing (large metal gong), and two wind instruments called nabal and taepyeongso. Yeongsanjae, literally meaning â€œRites of Vulture Peakâ€, is a Buddhist ritual performed on the 49th day after a person’s death to comfort his or her spirit, and guide it to the Buddhist land of bliss. The ritual, known to have been performed since the Goryeo Period (918-1392), consists of solemn Buddhist music and dance, a sermon on the Buddha’s teachings, and a prayer recitation. While it is an essential part of the Korean Buddhist tradition conducted to guide both the living and the dead to the realm of Buddhist truths and to help them liberate themselves from all defilement and suffering, it was sometimes performed for the peace and prosperity of both the state and the people. 1. Falconry It was once a serious activity conducted to gain food but now an outdoor sport seeking a unity with nature. 2. Namsadang Nori Performance presented by a traveling troupe of about 40 performers led by a percussionist called Kkokdusoe.3. Yeongsanjae A Buddhist memorial ritual performed on the 49th day after one’s death to guide the spirit to the pure land of bliss. 4. Pansori Performance of a solo artist assisted by a drummer where singing is combined with dramatic narratives and gestures to present a long, epic story (National Center for Korean Traditional Performing Arts). One of the surviving traditional martial arts developed in Korea, Taekkyeon, which is quite different from Taekwondo, used to be known by several different names such as Gakhui (â€œsport of legsâ€) and Bigaksul (â€œart of flying legsâ€), although such names suggest that it is related with the movement of kicking. 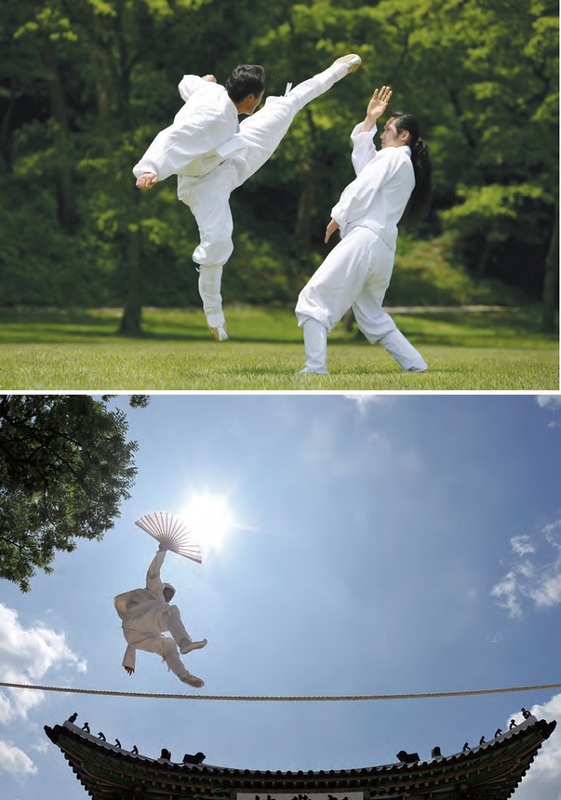 Like most other martial arts in which weapons are not used, Taekkyeon is aimed at improving one’s self-defence techniques and promoting physical and mental health through the practice of orchestrated dance-like bodily movements, using the feet and legs in particular. Contestants are encouraged to focus more on defence than on offense, and to throw the opponent to the ground using their hands and feet or jump up and kick him in the face to win a match. 1. Taekkyeon A traditional Korean martial art marked by elegant yet powerful physical movements. 2. Jultagi Performance of tightrope walking combined with singing, comedy and acrobatic movements. Arirang is the name of a folk song sung by Korean people since olden times. There are many variations of the song, although the lyrics of their refrains have the words â€œarirangâ€ or â€œarariâ€ in common. The song was sung for many different purposes such as to reduce feelings of boredom during work, confess one’s true feelings to one’s beloved, pray to the divine being for a happy and peaceful life, and to entertain people gathered together for a celebration. â€œThe first and most conspicuous of this class is that popular ditty of seven hundred and eighty-two verses, more or less, which goes under the euphonious title of A-ri-rang. To the average Korean this one song holds the same place in music that rice does in his food?all else is mere appendage. You hear it everywhere and at all times. Archetypes of Buddhist architecture developed in Silla. 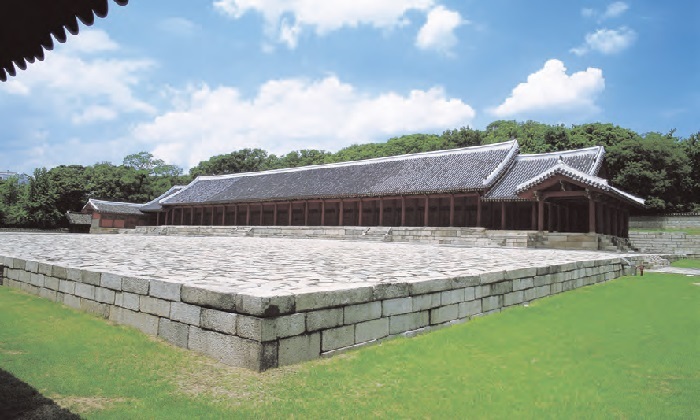 The oldest buildings at Haeinsa Temple, storing over 80,000 woodblocks of the Tripitaka Koreana. A Confucian shrine storing the memorial tablets of Joseon’s Kings and their Queen Consorts. 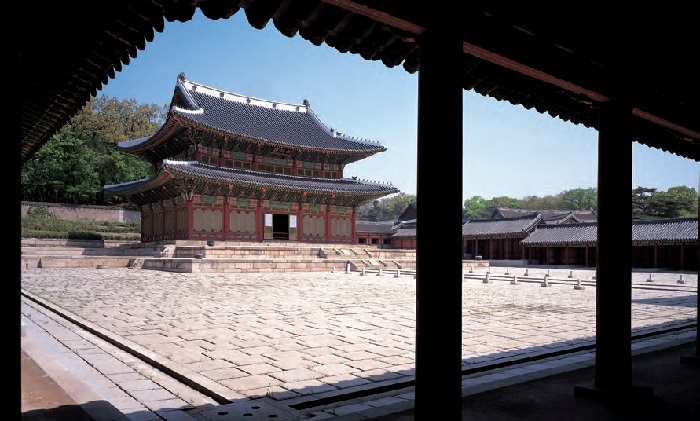 The official Royal Palace of the Joseon Dynasty for 258 years from 1610 to 1868. An architectural masterpiece of Joseon fortifications combining beauty and practicality. The well preserved remains of Gyeongju, the capital of Silla for one millennium. 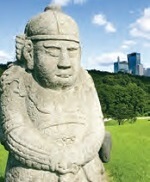 Countless lithic monuments dating from prehistoric Korea. 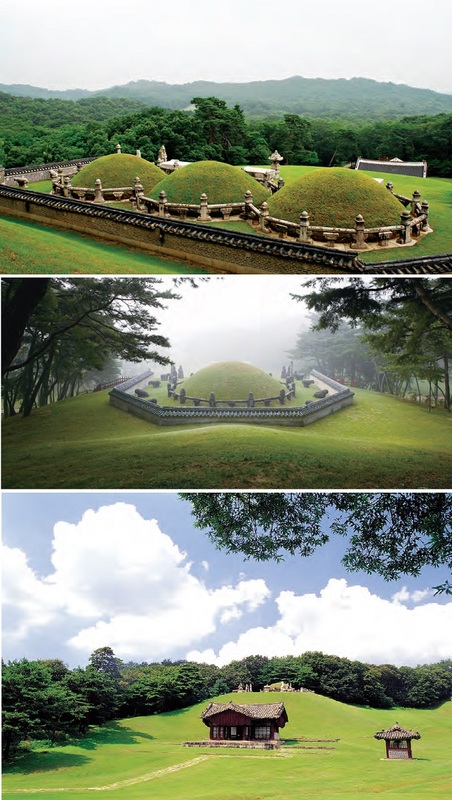 Fifty-three Royal Tombs of the Joseon Dynasty preserved in their original condition. Villages formed by aristocratic families of Joseon based on Confucian ideology. A Mountain fortress that served as a temporary capital during the Joseon Dynasty, showing how the techniques for building a fortress developed during the 7th -19th centuries. 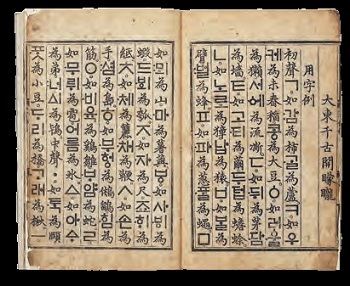 A single-volume xylographic book printed in 1446, containing commentaries on the Korean writing system. A huge collection of the annals of the Joseon dynasty from 1392 to 1863, bound in 1,893 volumes in 888 books. An advanced-level textbook published for monk-scholars in medieval Korea. Daily records of Joseon’s rulers, containing a wealth of historical information. Rare and exquisite collections of illustrated records on important state and royal occasions of the Joseon Dynasty. 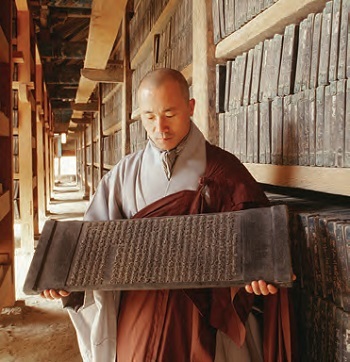 A superb collection of the Buddhist canon of scriptures carved on 80,000 woodblocks, providing valuable information on the politics, culture and philosophy of Goryeo in the 13th century. 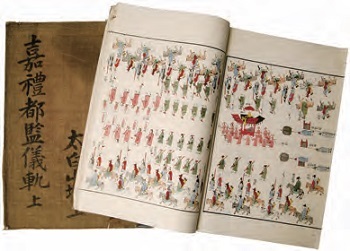 An encyclopedic work on medicine developed in East Asia since ancient times. Diaries kept by Joseon rulers between 1752 and 1910, containing records of state affairs and the daily activities of Joseon’s Kings. A vast collection of documents, videos, photographs, etc. on the democratic movements that spread in and around Gwangju in May 1980. 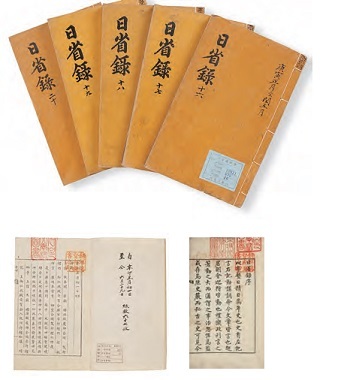 A collection of private journals kept by Admiral Yi Sun-sin, recording his daily activities and battle situations during the Imjin Waeran (Japanese Invasion, 1592- 1598). 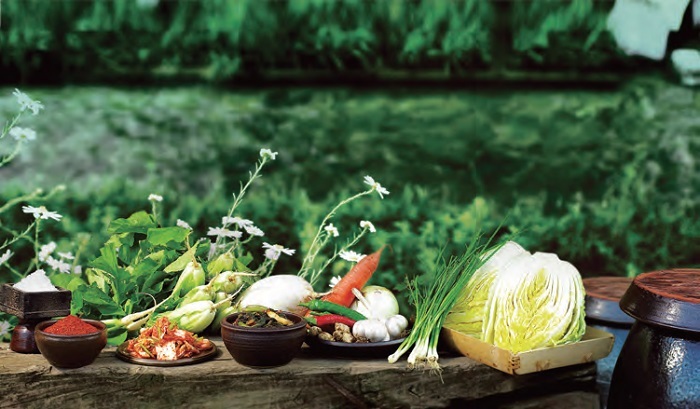 A collection of historical records on the Saemaeul Undong (â€œNew Community Movementâ€), an exemplary movement that led to the successful development of farming communities and the eradication of poverty in the 1970s. A traditional performance of music, song and dance presented during the memorial rite held at the Royal Ancestral Shrine. The traditional art of the dramatic song performed by a solo performer to the accompaniment of a single drummer, presenting an epic story by combining singing, narratives and gestures. A time-honored summer festival held on the 5th day of the 5th lunar month. A traditional folk entertainment with singing and dancing performed by women to celebrate moon festivals. Folk performances traditionally presented to rural communities by an itinerant troupe of about forty performers (Namsadang) led by the chief musician (Kkokdusoe). A Buddhist ritual performed to comfort and guide the spirits of the dead to the Buddhist land of bliss. A traditional shamanic ritual practiced at Chilmeoridang, a shrine for the village tutelary of Geonip-dong, Jeju-si. A Court dance performed by five dancers wearing Cheoyong masks and costumes in five cardinal colors. Traditional vocal music performed by putting a poem to a melody with an accompaniment of orchestral music. The art of building traditional works of architecture designed and supervised by a master builder. The traditional art of keeping falcons and training them to hunt for quarry. A traditional folk entertainment in which a tightrope walker performs acrobatic movements and tells comic stories as he walks along the rope. A traditional Korean martial art practiced for self-defence purposes and known to be beneficial to one’s physical and mental health. The tradition of weaving ramie, a fine-quality fabric used for the production of summer clothing, preserved in Hansan. 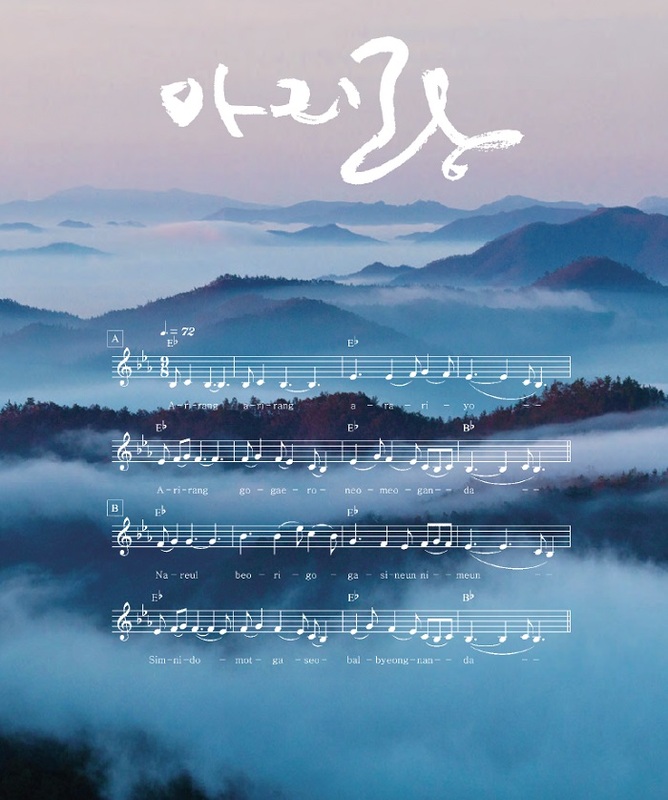 A folk song with many variations cherished by the Korean people throughout history. The cultural tradition of preparing for and making kimchi to be eaten during the winter season, typically with the participation of an entire family or community.